DENVER — The 10th Circuit Court of Appeals has overturned the denial of an injunction to the popular craft chain Hobby Lobby, sending the matter back to the lower court for further review. As previously reported, the 10th Circuit had agreed earlier this year to hear Hobby Lobby’s challenge to Obamacare’s contraception mandate en banc before a full panel of nine judges. Last month, attorneys for Hobby Lobby had a proverbial showdown with the United States Department of Justice in Denver, Colorado. Contrary to the Obama administration’s assertions throughout the legal battle, the appeals court ruled Thursday that Hobby Lobby’s status as a business does not disqualify its owners from living out their faith. 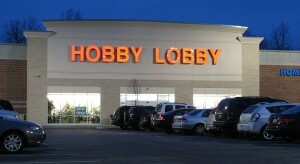 The case was appealed all the way to the Supreme Court, which declined to grant the injunction, stating that Hobby Lobby still has a chance of success in the lower courts. The craft chain and its attorneys saw Thursday’s ruling as a victory — not only for the company, but also for faith-based businesses across the country. The district court in Oklahoma must now decide whether Hobby Lobby should be granted the injunction in accordance with the appeals court’s findings, and must review two other factors weighing in on the injunction.